Gemini technology have been designing, manufacturing and commissioning Automatic Sample Changers for 25 years. We have systems currently working in Italy, Portugal, France, Germany, Austria, China, Singapore, UAE, USA, as well as all over the United Kingdom. Specially constructed radiation translucent plastic containers. Modular Aluminium framework with foam plastic panels and acrylic windows for viewing. Platform is configurable to hold any number of samples of varied size. High precision x, y and z pick and place mechanism. Detector is housed in a well-shaped lead (Pb) graded shield. 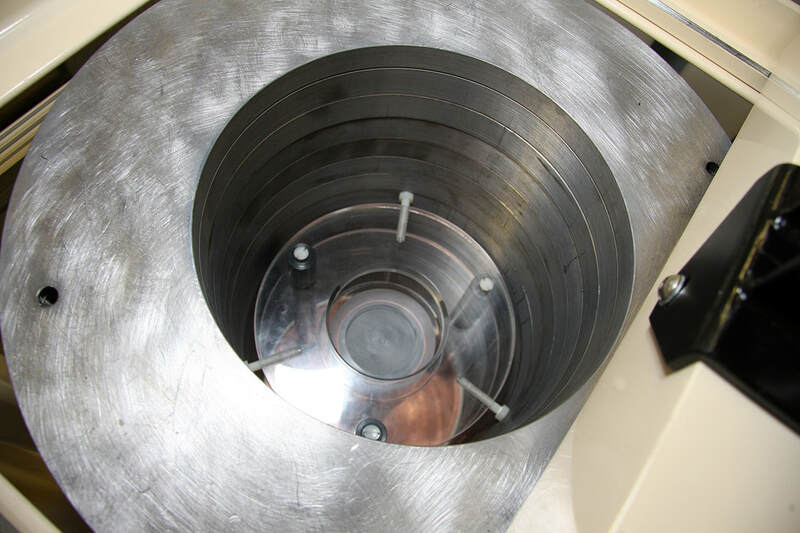 The opening at the top of the well is automatically closed to isolate the sample from any background radiation. 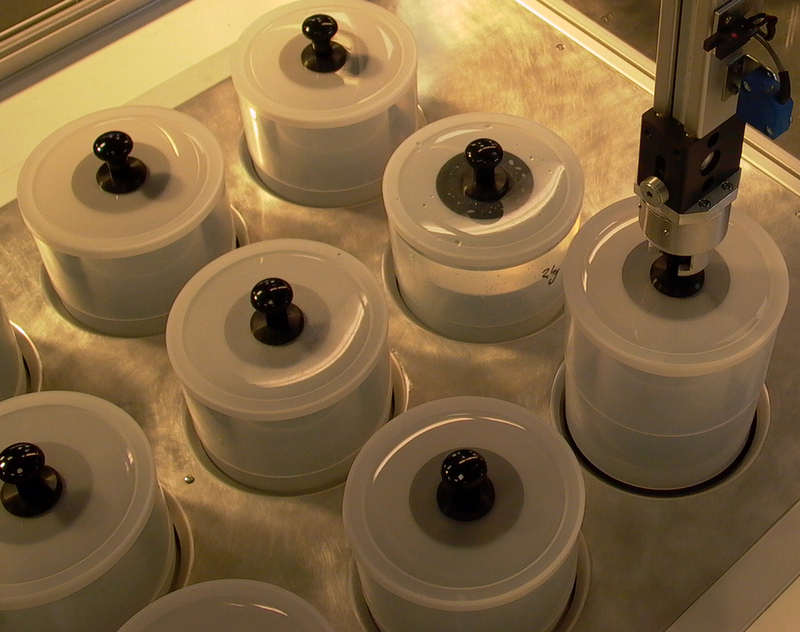 The counting time between samples will vary depending on the level of activity. The machine is capable of 24 hour operation. The Automatic Sample Changer eliminates the necessity for operator intervention, thus freeing a valuable member of your personnel to carry out other work. The Automatic Sample Changer range can be added to an existing well counter as an upgrade giving all the advantages of automatic sampling. The Automatic Sample Changer can be added to an existing well counter as an upgrade giving you all the advantage of automatic sampling. Low-background sample changer for automated gamma spectroscopy in counting laboratories at nuclear and research facilities. The Model ASC2 is designed to be versatile,easy to use, and safe to operate. The Automatic Sample Changer will accommodate different sample container sizes from, 15 Centilitres to 2.5 Litres in varying numbers and combinations. This flexible arrangement makes it very simple to tailor the requirements of each customer. This Germanium crystal unit together with a spectrum analyser unit is capable of detecting and measure minute radioactive activities in almost all materials. This new sample changer is compliant with CONNECTIONS-32 architecture making it the only system available that can be controlled across a local area network (LAN) without a local dedicated PC. Fully buffered change signal processing. Different sized carriers can be used (as shown).